... and goodness gracious, I got dressed. Two surprising phenomenons in one! This week has flown by. With many hours of unpacking, organizing and long debates in the middle of Lowe's. But we've nearly got our new place put together and after I make a few runs to the paint and fabric store (because I can sew now you know. Fancy new sewing machine for graduation - uh huh. And I'm feeling downright proud of it too) ... I do believe we'll be in business. What will you guys be up to on this hot weekend? Tys and I are headed out to a jazz concert in the park with friends tonight. With maybe something scrumptious to eat. Cause I think I just hit my Life cereal consumption quota for the entire year. Love the little floral shoes! Cant wait to see photos of the lace when it all comes together! Aw you look so cute I love that shirt! What type of sewing machine did you get? My hubs and I are going to yosemite for the weekend. Looking super cute as usual! Now you guys have to find new photoshoot locations in your new city! Have a great weekend, and stay cool! Your baby bump is getting big - in a good way! Like you like to say, "grow, baby, grow!" We are having a garage sale this weekend! I wish I had a sewing machine. I love to sew home decor items and gifts. Maybe someday again. Love the pink and the belly of course! Those shoes are darling! Looking fanastic, girl! You look adorable! Have fun sewing!! You'll have to show us your sewing projects! I'm going to see a musical (The Drowsy Chaperone) this weekend. Have fun with your jazzy night out! you look radiant! i've been eyeing those shoes over at Blowfish for forever, too. The shirt is my favourite part. You are the cutest pregnant woman I have ever seen! Oh my. Could you be a cuter pregnant lady? No. & you make pregnancy look fun! Congrats on getting settled! I love your writing stye :) Enjoy DC - amazing place! PS. Post some pics of your new sewing projects!!!!! you are so, so precious pregnant! i hope i look half as cute as you when my time comes. and im super jealous that you know how to sew- its become my lastest obsession and i want to tackle it but am not quite sure how to go about it... the last time i made anything was in high school home ec about 6 years ago and then i royally screwed everything up! haha. hope you have a great weekend! im spending some time with my parents and friends and super excited about it. Love that outfit, and you look so lovely! You're still so thin! Lucky! You look adorable! Jazz concert in the park...that sounds lovely. Have fun! It'll feel sooo good to have everything unpacked & decorated! I can't wait to do that to our first home... whenever that will be ;) Congrats on the move & have fun this weekend! I don't think you could possibly be any cuter! Gosh you are adorable! Hope you are feeling great! I will be hosting a birthday dinner party. We are making our own pizzas. Each couple will be creating their own personal pizza with the toppings of their choice. Then we are grilling them! It should be fun and interesting, this is the first time we have tried this menu! Have a happy weekend! Good luck with the sewing! I got one for Xmas and still haven't sewed anything. Maybe that is what I will do this weekend! A different backdrop! That east coast greenery! Goodbye Village parking lot and BYU-I Campus! you're the cutest little preggo person. ever. happy friday! The bump is bumpalicious. So beautiful! Enjoy the weekend in your hew casa! You're so adorable :) Love the bracelets and the darling shoes! you look exhausted! Enjoy a fun night out relaxing! Also LOOOVING your shoes. So cute! Ps- you're like the tiniest preggers ever. Jealous. You are too cute. Great blouse. I've been in Germany for three weeks and this weekend I'll be packing up and heading home. Been away from the husband too long, excited to get back to the States. You sure are one cute prego!! we are moving from Ohio to Savannah, GA this weekend! And I'm preggo too so I can totally relate to the sitting on the wood floor and fanning myself concept. have fun! Yay for the new sewing machine, can't wait to see what you make, you look adorable with your bump, and the lips are pretty! You look radiant :) Love those flats, they are too cute! Yea! glad things are going well for you and your growing family! I just got a sewing machine too! What are you making - things for the little guy? I hope to see photos of your projects! I know that moving, unpacking, and settling in is a FULL time job...but glad to see you're back a bit. Oh my gosh, I'm pregnant with Babe #2 right now and during both of my pregnancies I've been OBSESSED with Life cereal! I mean, it's borderline ridiculous. I almost had a meltdown because we were out of milk the other morning....horrible! Anyway, you look absolutely adorable! I swear you might be one of the prettiest future moms I've ever seen! 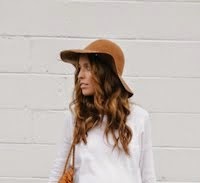 Someday, when/if I'm pregnant, I'm gonna come back to these posts and try to recreate as many of your cute pregnant outfits as possible. You wear the cutest outfits. Love the pink! umm.. is it too forward to ask for that shirt when you're done looking all adorably preggo? Probably.. but oh well. I'm a dare devil by nature. You are such a beautiful pregnant lady. Really... Congrats on the whole move and getting every thing straight. I love your blog. you're just so darn cute! You look adorable! Love that pink lipstick. It's so exciting that your house is almost ready to go, yay! Wonder which part of DC you're in? You should totally have a party there like you did in Idaho! I'd be in for that! Love the pictures too! You're getting bigger...but more fabulous. You killll meeee with your cuteness. I can't wait til your baby boy comes!! Eeeeek! Oh my GOSH you look so cute! Love that top! mix it up. my suggestion is honey nut chex. You look beautiful, really pretty clothes! Hey Gal! Lots to eat and do during the hot sizzling summer nights!!! Welcome to D.C.!! you are the cutest little mother-to-be ever!! You look beyond precious! Good luck with your new sewing machine :) How fun! I just left a comment on your other post, but I figured this one had less comments and it would be less likely to get lost in the shuffle - I would LOVE if you could do a tutorial on how you do your hair like this! LOVE IT! Super cute bump! Love it! *when I'm pregnant, I also want me some fabulous.